The 6 God versus the Rap God. This would be an interesting rap battle but will it be a reality? That Will be up to Eminem. 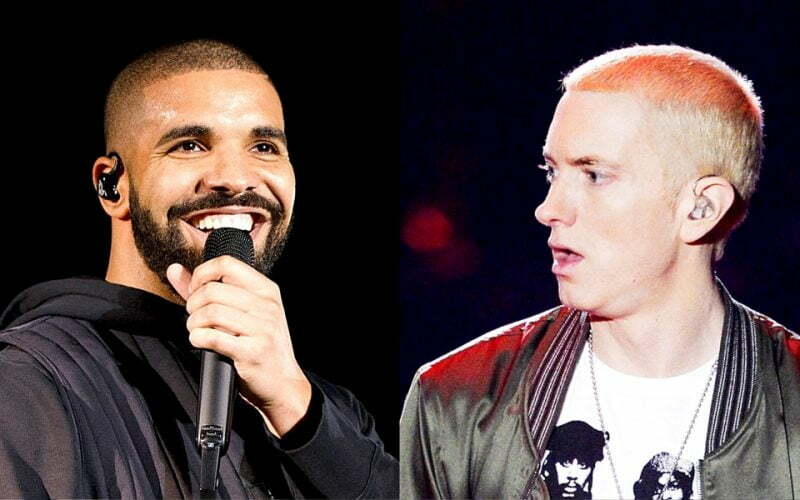 On Wednesday, Hot 97’s Ebro Darden revealed on his radio show that Drake revealed in a private conversation that he is lock and ready for a battle with Eminem if one would arise. Seems the conversation started out discussing the Toronto emcee’s feud with Joe Budden but ended touching on a rumor that Eminem was planning to come at him. Of course Drake is aware that a rap battle with Eminem would be on a different ball game than his beef with Meek Mill and Joe Budden. It’s still unclear where these rumors are coming from but we are speculating that the Drake and Eminem feud could arise from Em signing Joe Budden to Shady Records back in 2012 as part of Slaughterhouse. Since signing that deal, Slaughterhouse has only released one album Welcome to: Our House which was also released in 2012. Seems the list of Drake’s foes continues to grow by the day. As to his Slim Shady beef we have yet to see anything concrete about it leaving one to believe it’s a mere fantasy. Both The 6 God and Em has ties to Apple Music as well as Ebro who host a show on Beats 1. Perhaps Em is feeling a bit salty because Drizzy surpassed a couple of his albums milestones with his last album Views which has topped the Billboard 200 chart more than a dozen weeks already and still going strong. Drake has a hugely success OVO Fest concert last weekend when he brought out Rihanna and Popcaan on stage. 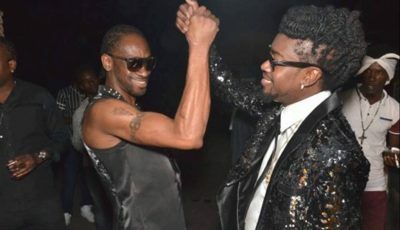 Dancehall stars Mavado and Sean Paul also performed on the first day of the three-day event.